Deworming is a necessity in pups as well as adult dogs because most of the pups are born with worms and require deworming every two weeks until 6 months. Adults too must be dewormed every 6 months in order to stay healthy because worms can eliminate nutrition from the body making the dog weak and vulnerable to diseases. Some may even experience anemia, vomiting, itching and even diarrhea if they have a moderate population of worms in their system. Before choosing a good product that can successfully eliminate worms, it is important to learn about the types of worms that infect pets. Well, there are generally four types of intestinal worms that infect dogs – hookworms, roundworms, tapeworms and whipworms. 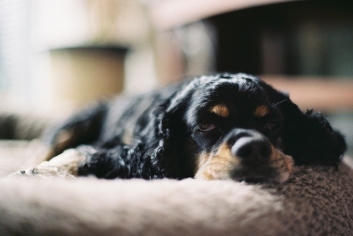 All of them reside in the gastrointestinal tract of the dog and cause severe health issues when left unaddressed. Apart from these four, there is another category of worms that infect the heart and lungs and is known as heartworm. Heartworm is quite fatal due to the blockage it creates in the heart vessels leading to cardiac arrest in pets. Not to mention, the respiratory issues that are also associated with heartworm infestation. 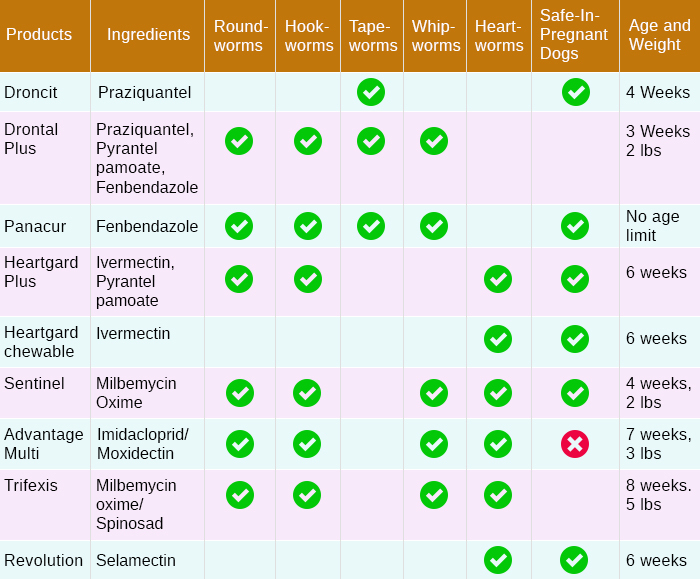 So, now that you know all the categories of worms, here is a comparison chart of the most popular products that treat various worms. Some of them are broad-spectrum treatments that eliminate more than one worm with a single dose. 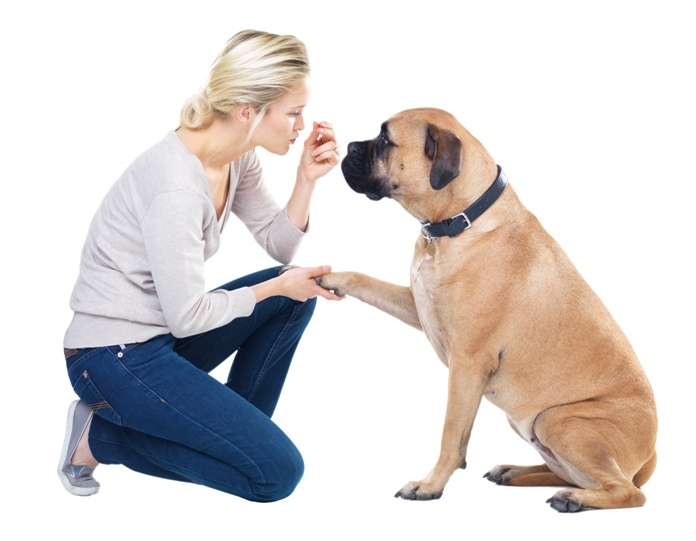 It will certainly help pet parents to zero in on the product that suits the needs of their pets the most. 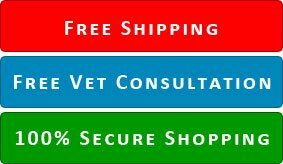 These products have proved to be effective in dogs with varying level of worm infection and must be used as per the age and weight mentioned in the chart. You must also follow the product label correctly to get the desired results. Next: Does your Cat Suffer from Lungworms?